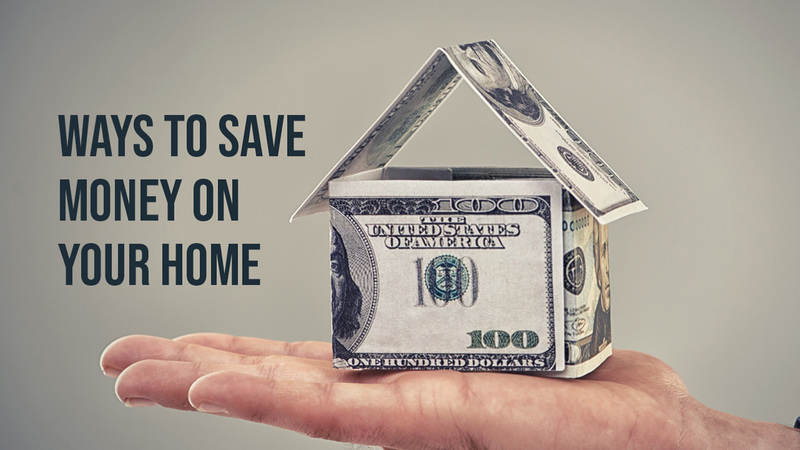 With everything increasing from food prices, property taxes and insurance costs, there is no denying that everyone is looking for ways to save money. This is the perfect time to look at ways to save money where we can especially when it doesn't impact our life that much. It takes a plan, some research and a strtegy to implement the savings plan. On a recent show, Lisa Treu shared ways to save money on your own home. Some of the tips include saving on interest on your home loan, improving energy efficiency on appliances, simple things like changing a/c filters monthly, and home maintenance before costly reports occur. 1. Make one extra payment a year to go to your principal payment. Doing so will allow you to pay off a 30-year mortgage off 7 years faster. Where do you ge the extra monthly payment? There are many ways to pay a little each month extra or one larger payment a year. 2. Consider getting a 15-year loan instead of a 30-year loan. The payment might be higher however the interest rate can often be lower. Isn't it . great to think about owning your home sooner. 3. Get a windstorm mitigation inspection. A Wind Mitigation inspection can save you thousands of dollars. The exciting thing is that the savings is not one time, it is year after year. There are also ways to improve your home to reduce your insurance costs. What can help reduce your insurance costs? Impact windows, hurricane panels, a hurricane garage door and a newer roof are just a few examples. 4. Have an FP&L (Florida Power & Light) energy test to see how you can save on your utility bills. Discover how adding insulation, caulking or adding an insulated garage door can save you money. 5. Close blinds during the day and during the summer to keep the home cooler. The longer it goes, the more expensive a repair can get. Take a walk around your home each month and look for items that need attention. Have a service plan for items that need maintenance. 7. Consider upgrading appliances, hot water heaters and a/c units. Check to see if there are rebate programs for a/c and solar energy too. Replacing them to more energy effecient items can really reduce your electric bill. 8. Put a programmable thermostat for your a/c. Every degree you raise your thermostat could result in a 5% savings. Ideal temperature is 75% - 78%. 9. If allowed, run your sprinkler off of a lake. Looking for ways to reduce your water bill is a great way to save money. 10. Consider adding a ventilating fan in the attic. 11. Review your landscaping to see if you need more shade. Also, make sure you don’t have bushes touching the home. 12. Replace your a/c filters monthly. Such a little thing can make a big difference in the electric bill and also the longevity of your a/c unit. Put it on the calendar as a reminder. 13. When selling, hire the Treu Group to put more money in your pocket. We are here to help you sell fot the most money.